A new movie has been releases in the Market Street Movie-Plex. This movie is about the hit game, Killer’s Code. The items will make you part of an elite and mysterious group of killer assassins. 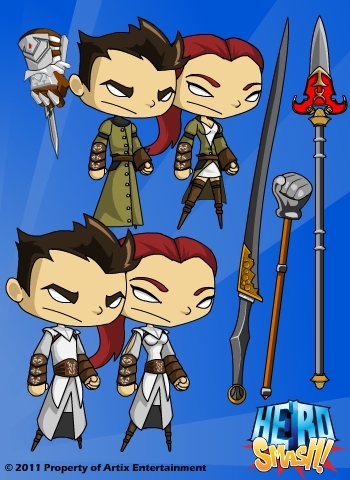 Jemini, Randor, and Polistar really made some awesome items. Hope you enjoy them! Llussion has been working hard fixing some of the bigger bugs in the PvP matches. The first main bug he addressed was the helm bug. So that should be working again. The next big thing he tackled was lag. While there may still be lag, we have a better understanding of what is causing the lag. Your testing is telling us a lot, and helping make PvP better, and better! Rolith has been helping us build the ground work for the leaderboards. Hopefully those will be up soon. I’ll keep you posted! Smash On!